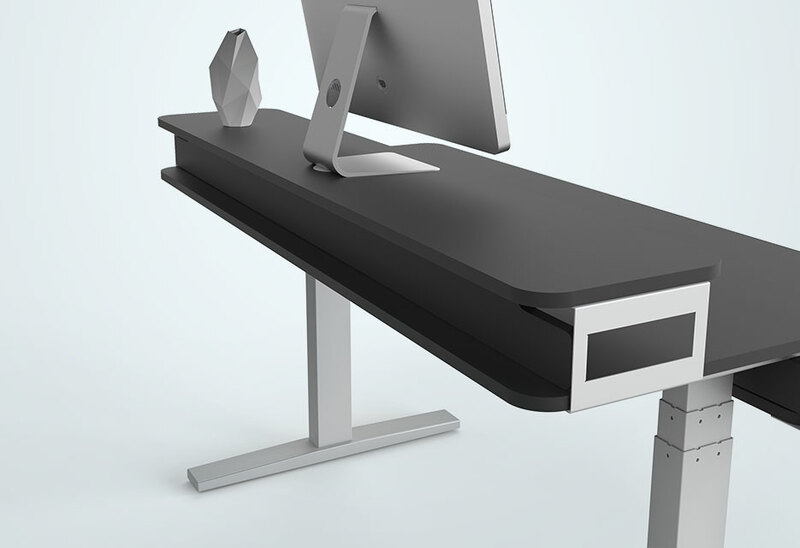 Press a button and NookDesk zooms to your choices of 200 different sitting and standing positions. 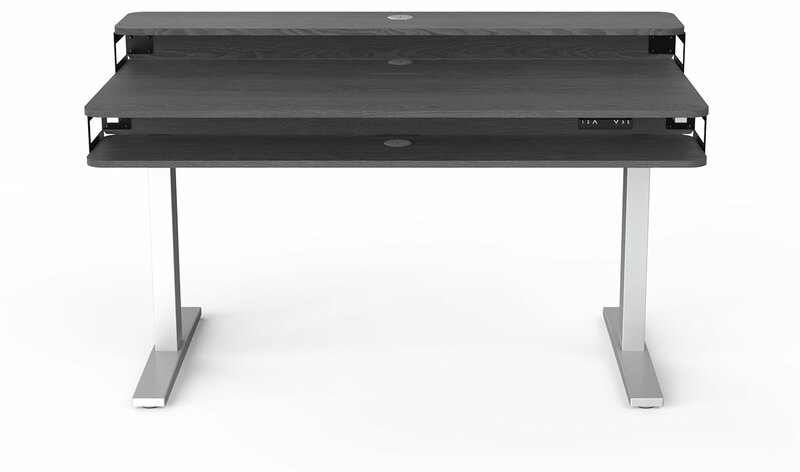 The speed at which NookDesk moves is an amazing 1.5 inches per second. With a 50" maximum height, NookDesk is perfect for everyone. Think about your typical day for a moment. How many hours do you spend sitting at your desk? Our desk has become the center of our digital world. People have stopped moving and started sitting more than ever before. Researchers have linked sitting to over a dozen scary medical conditions. But there is good news. Researchers found that standing for a few hours each day over the course of a year has massive benefits. Not a Desk for Everyone. But a Desk for Every Day. NookDesk didn't invent the standing desk, but we did reinvent it. 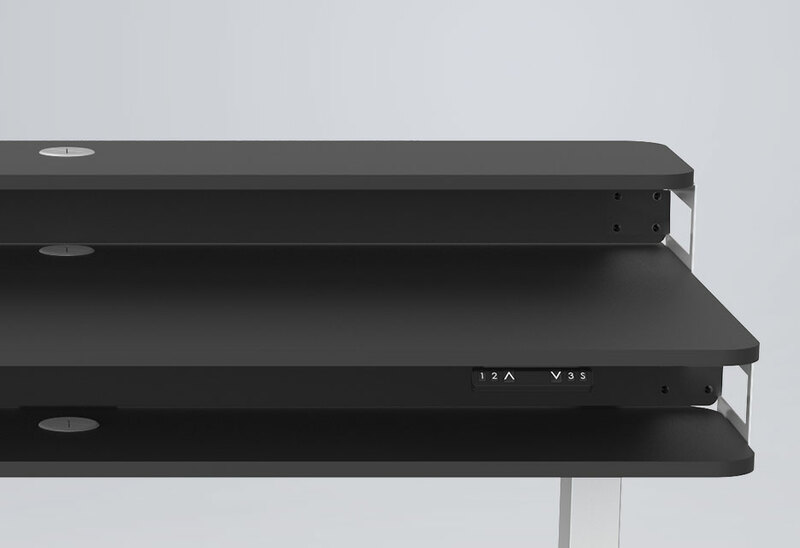 Our engineers designed a desk to provide the most feature-packed, customizable desk in its class, and an insane value. 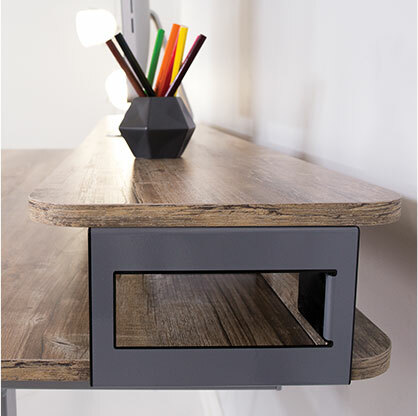 Other adjustable height desks may work, but they fail to inspire or deliver on the finer details. 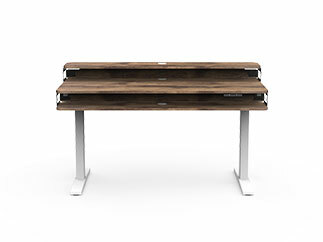 NookDesk was engineered from the ground up with nont one, but three working surfaces. Nook Intelligent Mobility empowers you with tomorrow's technology so you can take on today. All of this gives you the freedom to embrace the joy of movement - the way life was always meant to be. One thing is certainly clear. 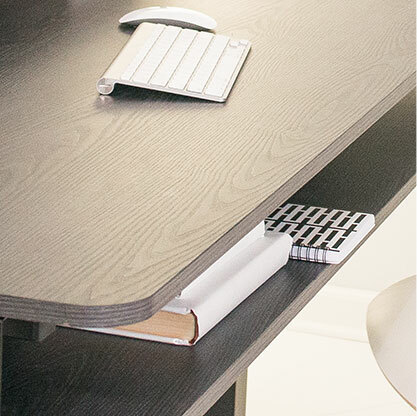 NookDesk sets the standard for storage within reach. NookDesk makes no apologies for the user-oriented design. 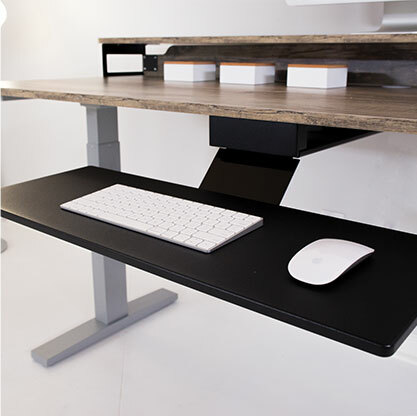 Take on a bigger, bolder world in a capable power adjustable desk with triple workspaces. Store all of your important tools within arm's reach, move positions in a snap, adapt for adventure and move confidently. One Frame. Highly Expandable. Future Proof. 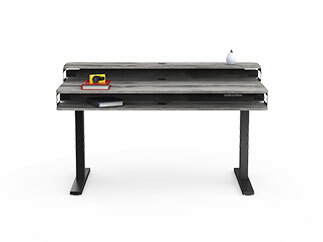 All power standing desks move up and down, but only NookDesk moves laterally to accommodate a different sized desktop. 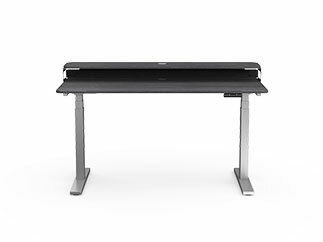 If your needs change and you are ready to upgrade to a bigger standing desk, simply expand the frame and swap for a 48", 60", or 72" desktop. 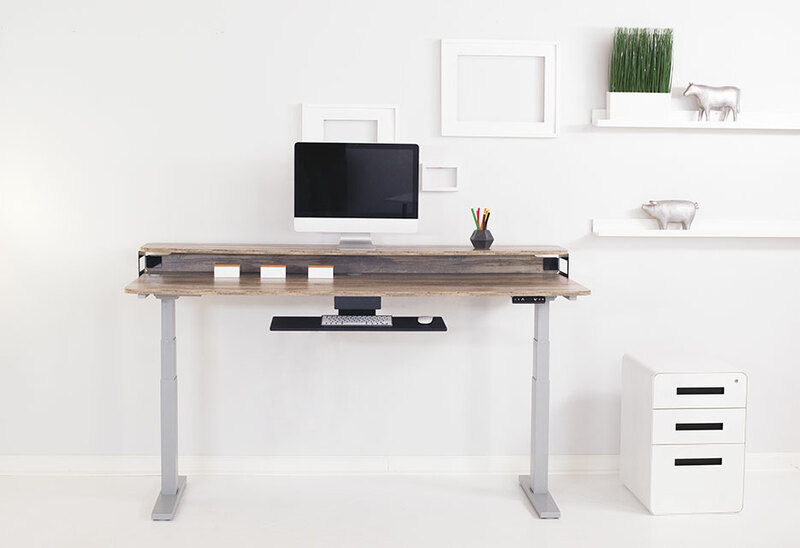 Finally, a desk that evolves with you. 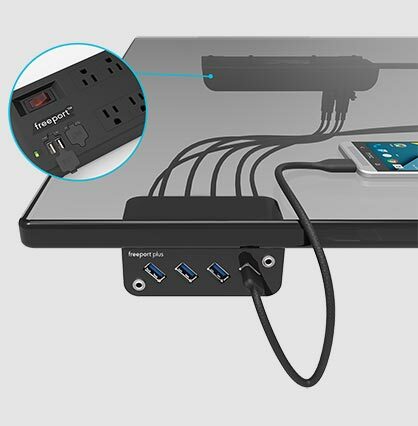 Keep your most important tools close without taking up valuable space on your desktop. 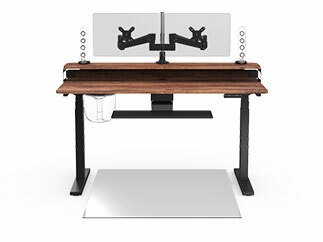 This massive platform positions your monitor at the ideal ergonomic height. The perfect way to enable your desk for any task while protecting your most sensitive devices. Accommodates any sitting or standing position so your wrists are never strained or over extended. © 2018 Nookdesk.com - All Rights Reserved. © Copyright 2018 Nookdesk.com · All Rights Reserved.